Lockheed Type Remote Brake Servo unit. 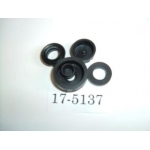 Usually availbale on a rebuild and return basis only- ..
Front Brake Hose- Vauxhall Viva- All models- 1970-79 Vauxhall Firenza- All Models- 1971-7.. 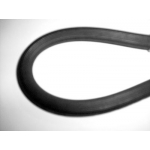 Brake Hose- Vandan Plas - Princess- 3000cc- 1959-64- Rear Sunbeam- Rapier- Series 3A- 196.. Clutch Hose- Wolseley 1500- MK 2 & 3- All models- 1957-64 Wolseley SIX/90..
Front Brake Hose- Wolseley SIX/110- MK1- 1961-64 Vauxhall Viva HB (Not GT) 1966-70 .. 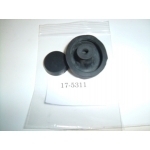 Brake Caliper Seal Kit- Wolseley SIX/110- 1961-64- Vandan Plas - MK 2- 3000cc- 1961.. 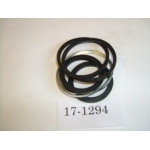 Clutch Slave Cylinder Seal Kit- Vandan Plas - MK 2- 3000cc- 1961-64 Vandan Plas - Princes.. 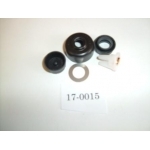 Clutch Master Cylinder- Wolseley SIX/110- MK 1- 1961-64 Vandan Plas - MK 2- 3000cc- 1961-.. 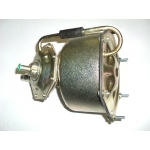 Brake Master Cylinder- Vandan Plas - MK 2- 3000cc- 1961-64 Vandan Plas - Princess- 3000cc..
Rear Wheel Cylinder- Wolseley SIX/110- MK1- 1961-64 Vandan Plas - MK 2- 3000cc- 1961-64 ..
Front Brake Caliper- Wolseley SIX/110- MK1- 1961-64 Vandan Plas - MK 2- 3000cc- 196..